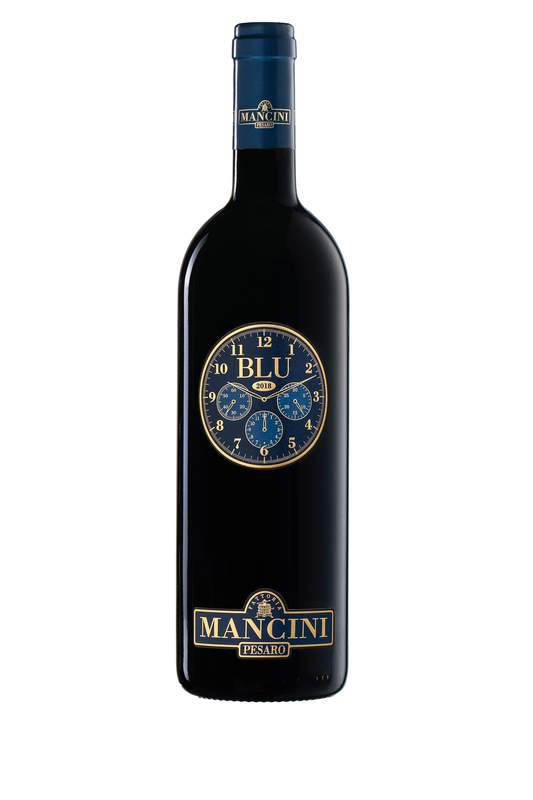 In 1998, realising the potential of an old vineyard of Ancellotta, Fattoria Mancini decided to create a wine to portray the best characteristics of the variety. The variety of Ancellotta is known for its considerable colouring properties, and was traditionally used in small percentages to improve the colour of wine obtained from other varieties. The wine obtained revealed itself to be interesting for the impenetrable colour, unique and intense aromas, and important structure. During its production its indelible blue staining left on the floor of the winery soon suggested the wine’s future name: Blu. Born as a blend based on a minimum of 50% Ancellotta, the percentage of this amazing variety has constantly increased each year to reach a stable 100% Ancellotta with the 2007 vintage. Transportation: in baskets - in a mobile cooling cellar equipped with an independent motor. The cooling cellar was transported to the vineyard every morning, allowing the grapes to be cooled as soon as they were harvested. The cellar then returned to the winery in the evening to continue the cooling process during the night. The grapes were pressed the next morning at a temperature of around 9°C.